A wave of panic briefly hit Kinshasa on Wednesday after rumors spread that an disease. 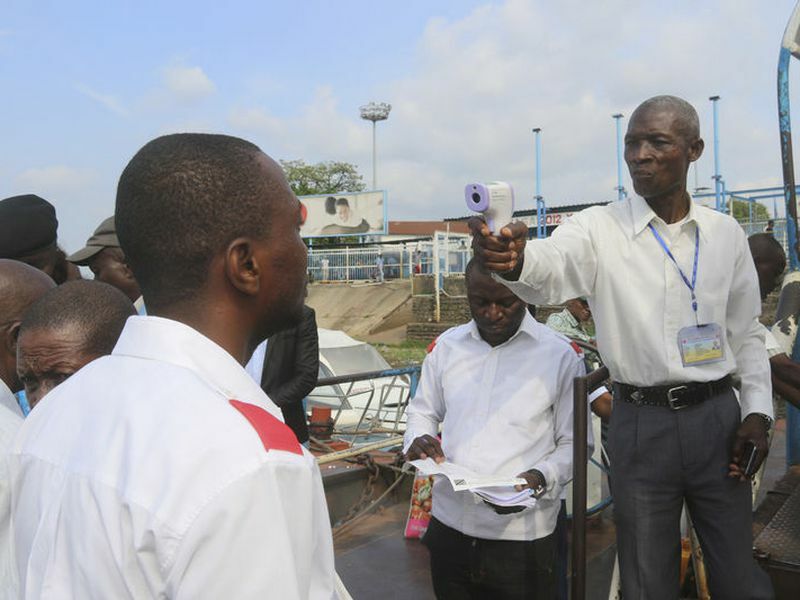 A health care worker takes the temperatures of passengers at Ngobila Beach in Kinshasa, Democratic Republic of Congo. Kinshasa, Congo.- Congo’s fight to rein in a deadly Ebola outbreak has authorities crossing the border to buy up available thermometers, a World Health Organization official said, as the health ministry on Thursday announced that confirmed cases had reached 30, including eight deaths.